The winery was mentioned in documents under the name Nellis in 1479. From the local interest index it is mentioned that Peter Nelis is the tenant of a “wyngartz at the buysch portzen”. For this property an unusually high interest rate was paid to the lords of the castle “Landskrone”. Then as now it is an excellent vineyard. For the date of the documentary mention is still the brand name 1479N. Thomas Nelles has been running the business since the 1970s. He is supported by his son Philip. The company is a member of the VDP. 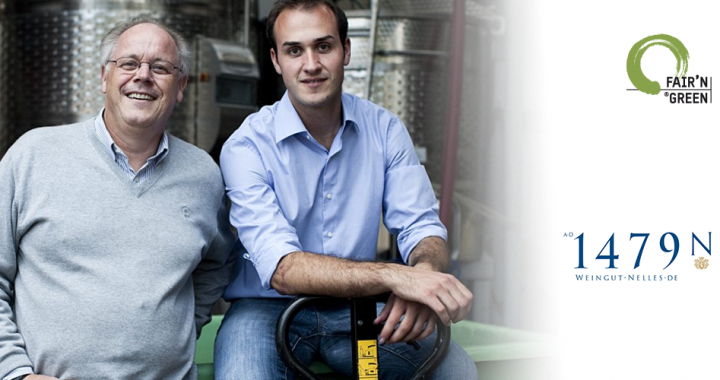 The winery Nelles is managed by Thomas and Philipp Nelles. It covers 8.5 hectares of vineyards, mostly steep slopes with a slope of more than 30%. 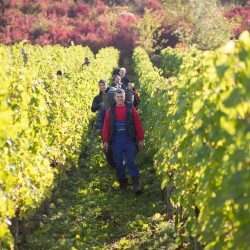 Here, the grape varieties Spätburgunder, Frühburgunder, Domina, Riesling and Pinot Gris are cultivated to the highest quality level. Since the 80s, the house sells the two premium wines”B48″ and “B52”. The vineyards are located in the best vineyard locations of the climatically particularly mild lower Ahr valley. The steep slate floors absorb the heat of the sun and give it back to our plants at night. So the wines are so rich, strong and full-bodied. The vineyard consists of greywacke and slate. The roots of the vines penetrate many meters deep into the rock. This favors a deep, mineral taste. The wines of this location are characterized by a very good shelf life. This location has Devon schist and volcanic rock as underground. Above is a dense loess pad. Here are wines with fullness and body, but also a lot of elegance and fruitiness. The geologically very young sandstone in Neuenahr with its many fossil inclusions comes from the ice age. The location has an intact fauna. So there is a specius of wild bees, which is unique in Europe and protected. Powerful and bodily wines with opulent fruitiness grow on this vineyard. For fertilization, large quantities of manure, straw and other organic humus substances are used. This almost eliminates mineral fertilization. By mulching the weeds in the vineyards, the farm also improves the humus content and soil life in the vineyards. Only plant treatment agents are used that protect beneficial organisms. Thus, the balance is preserved in nature and you get the natural enemies of the pests. To reduce the yield, fewer fruit buds are cut during the winter cut. In our wine cellar brilliant Pinot Noir with a silky soft fragrance is created. The white wines of the winery convince by a harmonious acidity and pleasant fruitiness. This is not least the result of the particularly gentle processing in the wine cellar. The grapes are completely destemmed before fermentation. This means they are processed without stem and stems. So the wine becomes tender and velvety. In addition, there is no heating of the grapes. 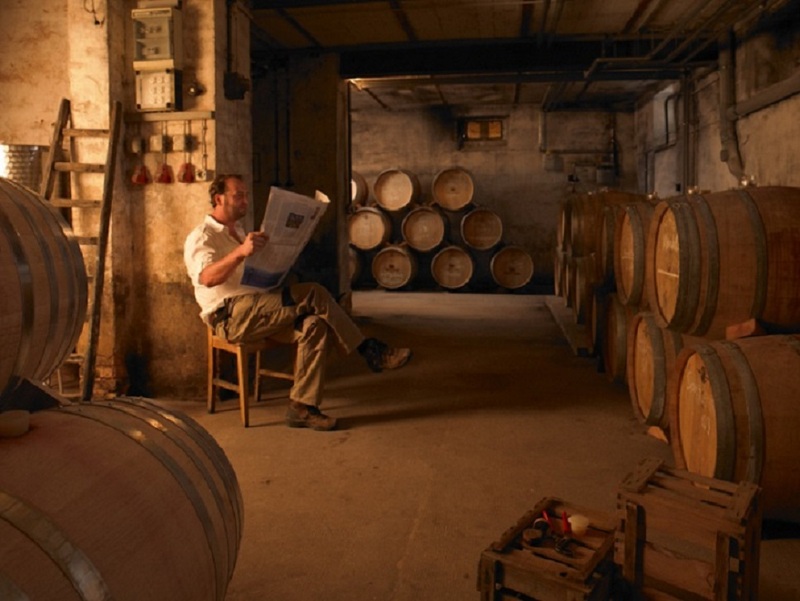 The winery relies on traditional mash fermentation to preserve the typical expression of Ahr wines. One sets in the expansion on natural self-clarification. It takes a little longer, but it is gentler on the wines. There are no fining agents used. This would remove minerals and other important wine ingredients. To give some wines stability, ground rock flour is used. All wines are separated according to grape variety in oak barrels and the best red wines filled if possible without filtration on bottles. "Sustainability - the term has almost become a buzzword. But we at the wine estate Bamberger do not just want to have a say in it - we want to participate and think about sustainability. Hence being a member of Fair and Green is a self-evident for us because this seal is all-encompassing. As comprehensive as our actions in dealing with nature, the people with whom we live and work and with profitability, risk and return. It's really simple and difficult at the same time, because it's all-encompassing." 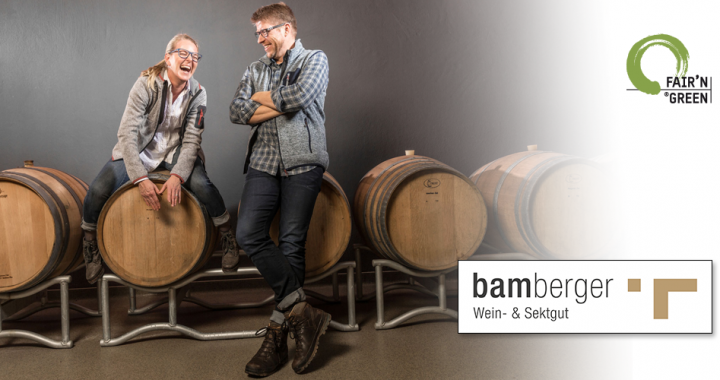 The estate Bamberger for still and sparkling wine is located in Meddersheim an der Nahe. 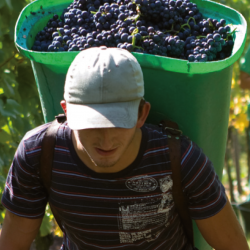 For generations the family cultivates grapes in excellent steep slopes. the Monzinger Frühlingsberg, the Meddersheimer Altenberg and the Meddersheimer Rheingrafenberg. 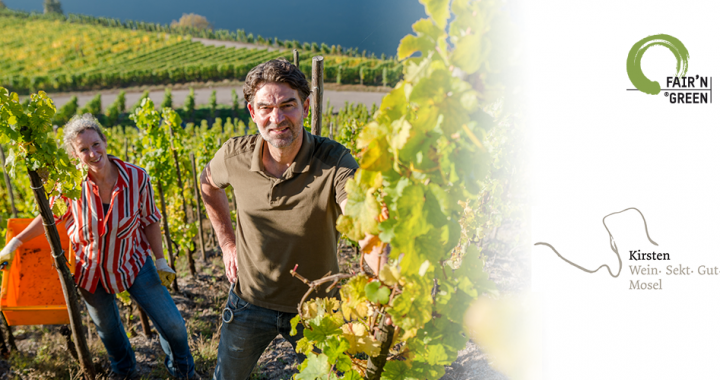 Heiko Bamberger and his wife Ute run the business in which young and old work hand in hand on the 15 hectares of vineyards. The highest vineyards are at almost 300 m over NN. 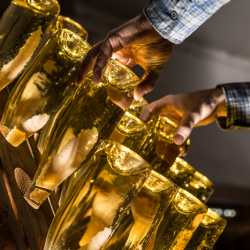 The highlight of the collection is the Winzersekt, which is made according to the traditional method. Enormous passion and perfectionist ambitions put Bambergers into sparkling wine production traditional bottle fermentation. The champagne matures in the bottle, is up to five years on the yeast and will conscientiously be turned by hand. 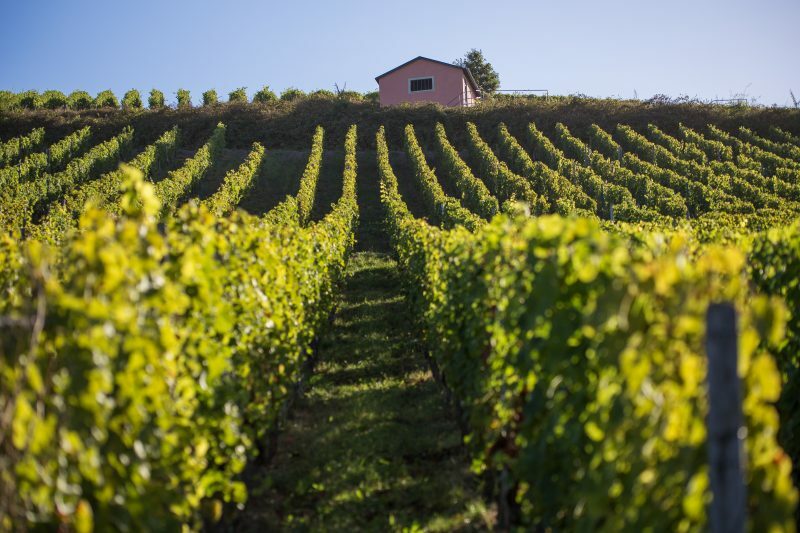 In 2016, the Gault Millau reported: "You can recognize the classic craft production of sparkling wine in the cellar: this is where the heart of the company beats. " 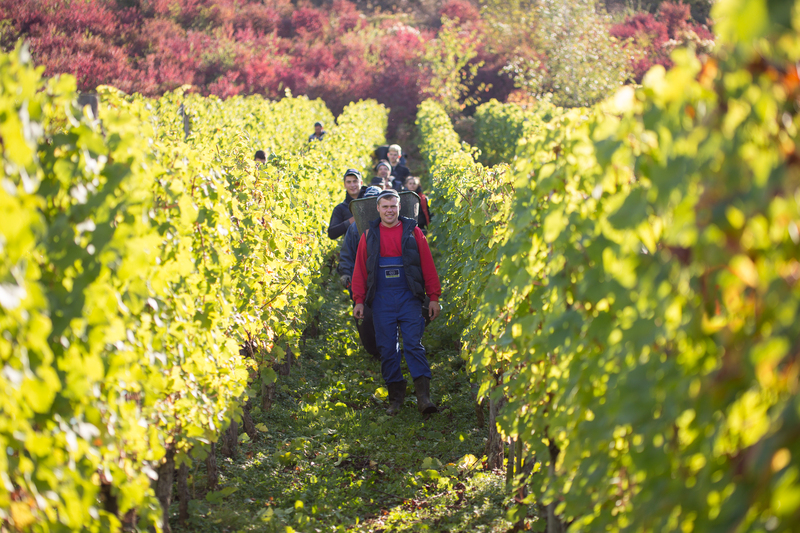 Falstaff sums up: "There is something like a renaissance of sparkling wine in Germany. Someone who is co-responsible for this is Heiko Bamberger. " 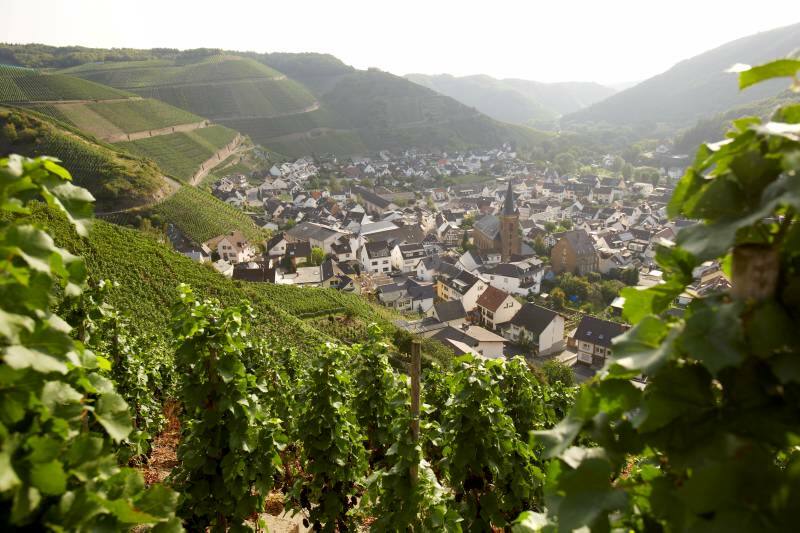 In terms of viticulture Heiko relies on the classic grape varieties Riesling and Burgundy. With much care he brings from the soils of the Nahetal, which are characterized by red sandstone, quartzite and slate, wines with mineral seasoning, lots of clarity and finesse. As different as the terroir, so individual are the Wines: In the character impetuous, good or playful. 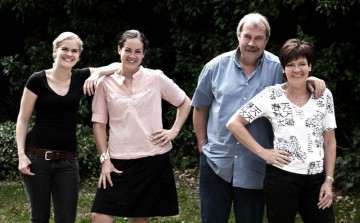 Highlighting the strengths of the wine and sparkling wine is the concern of the Bambergers. They reduced their assortment list, which sharpened their profile. Even in the external design has the Wine and Sektgut further developed: A new, authentic internet presence expresses its focus on high-profile sparkling wine and strong character wine explicitly. All pictures are protected by copyright of Timo Volz. "For us, sustainability is more than lip service and has been actively pursued as a corporate goal for more than 10 years. Now we are happy to be able to make this aspiration tangible and to deepen and refine it together with FAIR'N GREEN and its members. We see our farm following the motto of our senior Manfred Birkert: "We have borrowed the land and plants from our ancestors to pass them on to the next generation". In this statement the guidelines of FAIR'N GREEN fit perfectly." With the wine estate Birkert, the FAIR and GREEN e.V. 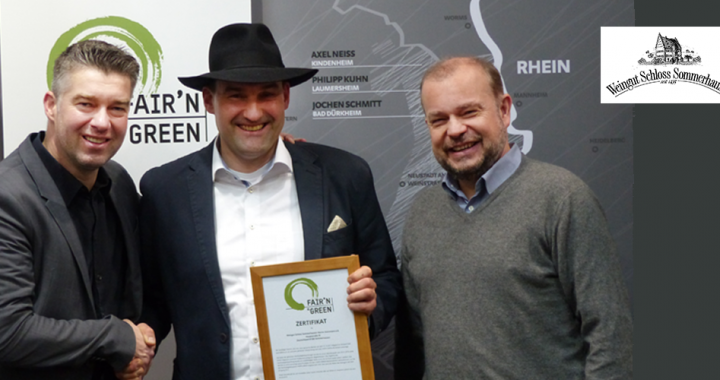 not only gained another classic family business as a new member, but above all successfully certified the first winery in the Württemberg region. Boris Birkert took over the business from his father in 2013 and since then has consistently pursued two goals: quality and sustainability. Meanwhile, the winery cultivates about 15 hectares of vineyards, eight hectares of orchards, operates a distillery and also serves its own wine bar. For winegrower Boris Birkert and his family, sustainability has been a matter of the heart for many years: rainwater is used in the in-house distillery for cooling, the buildings on the estate are heated with woodchips from the orchards and the own forest, organic fertilization and changing greenery provide for the vineyards healthy growth. In the wine cellar from the year 1748, wines from the well-known single vineyards Adolzfurter Schneckenhof and Bretzfelder Goldberg mature among others. 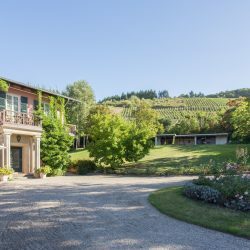 In addition to the traditional grape varieties, the Birkert estate specializes in bouquet-rich varieties such as Muskateller, Traminer and Bacchus, but also works with new varieties such as the Rotberger, a Trollinger-like red wine. 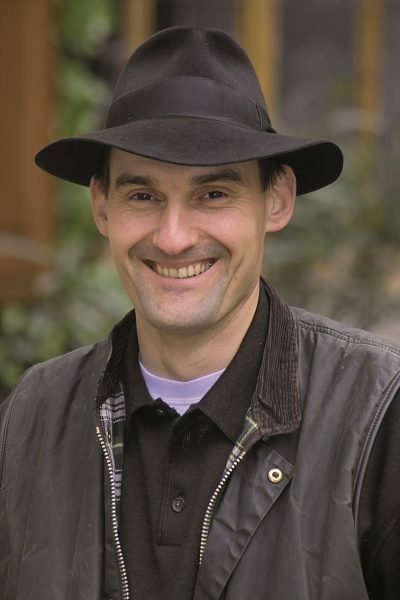 All pictures are protected by copyright of Sascha Haas. The documents that testify to the winemaking tradition of the Steinmann family in Sommerhausen extend back to the year 1537. 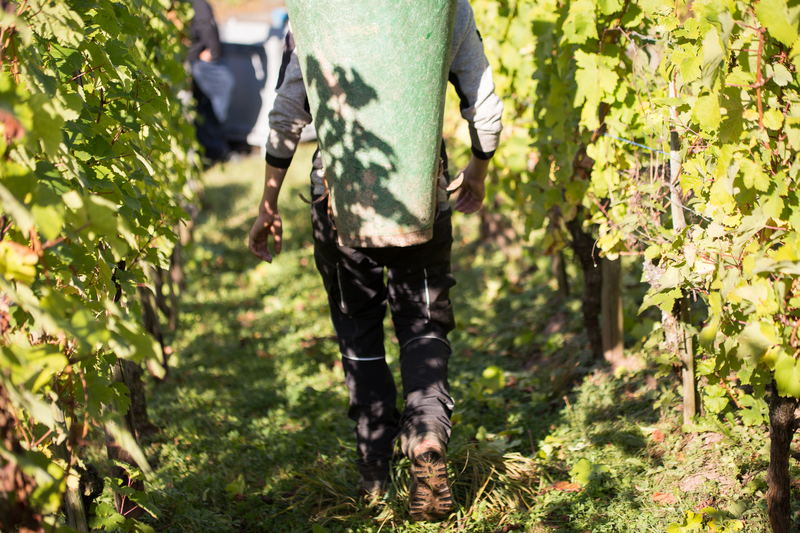 579 grape harvests later, the young team continues the 25-hectare vineyard in its 15th generation, bringing life and innovation to the old walls of the 1435-built castle. 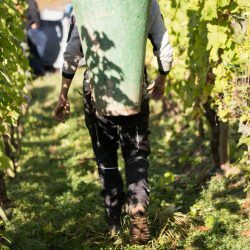 The winery is the opposite of stagnation, encrusted worldview, and misunderstood tradition, as can be inferred from the modern selection Steinmann and the innovative "Franconian Frechen" wines. In addition to remarkable white and red wines, sparkling wines are being developed in the generous champagne cellar according to the champagne method. Under constant climatic conditions, they experience a multi-year yeast store here and thereby unfold their fine, multi-layered aroma and their elegant and intensely integrated perlage. 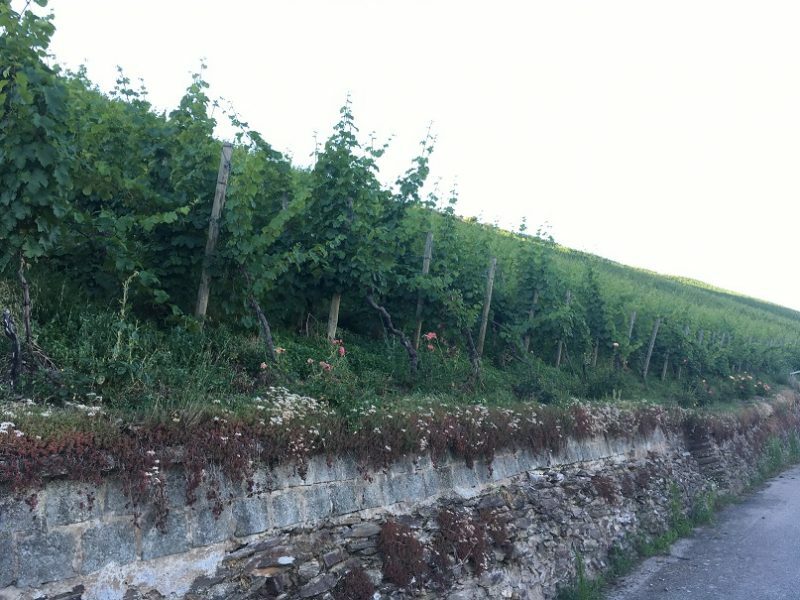 On the slopes and steep slopes around Sommerhausen grow on limestone soils excellent wines with high extract content and individual character. 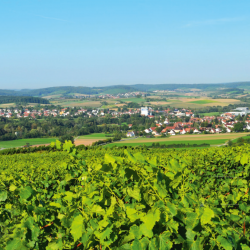 The focus is on the classic grape varieties Silvaner, Riesling and the Burgundy family. 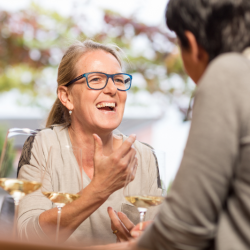 Particular attention is paid to the care of dry, aromatic wines from the grape varieties Muskatsilvaner, Muskateller, Gewürztraminer and Scheurebe. 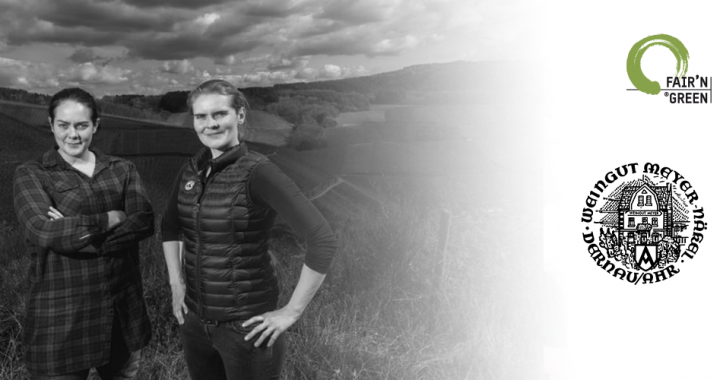 "We are a member of Fair and Green, because we want to make the old Saar Riesling tradition both sustainable and future-oriented in production, as well as to assume social responsibility for people and society.We regard future-oriented management within the vineyard Reverchon as indispensable. The first steps towards a responsible future have already been taken and we look forward to developing and promoting each other in exchange with our colleagues from Fair and Green. 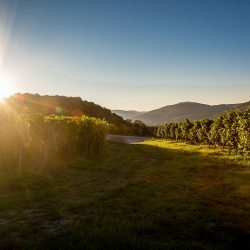 In the future, we would like to offer wine lovers light, invigorating wines as typical oft the Saar and trust the unique cultural landscape of the Saar in the interest of future generations. " 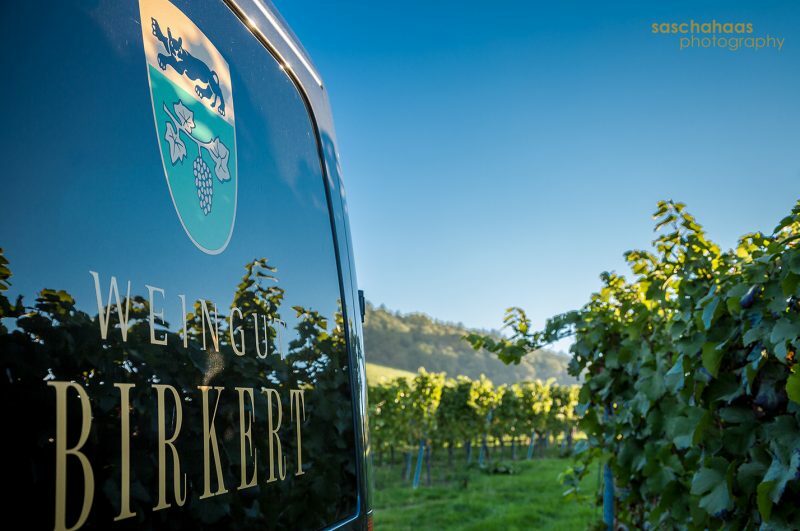 As one of the great traditional wine estates of the Saar we are a manufactory for mineral, light Rieslings, as they are typical for the Saar, as well as highly awarded vintage sects. 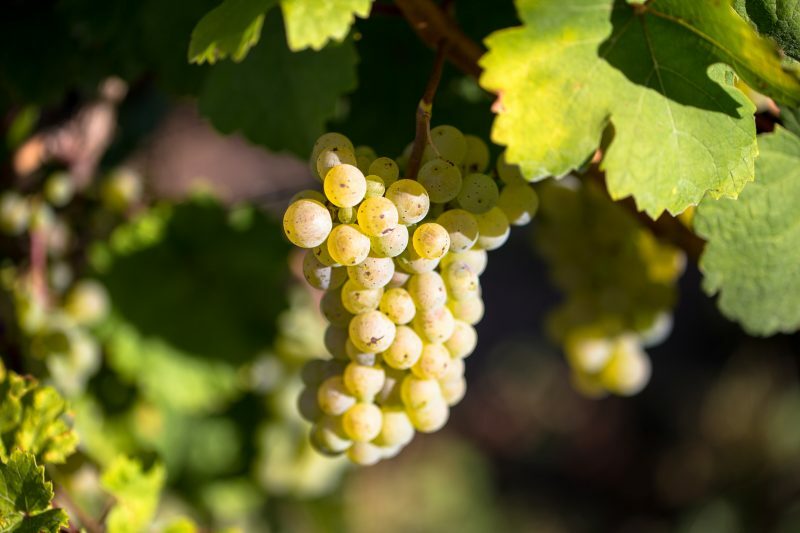 We cultivate centuries-old Riesling tradition in a contemporary way with environmentally friendly wine growing, the vinification with natural yeasts and temperature-controlled spontaneous fermentation. Our wines and sparkling wines are filigree, mineral, light and fragrant animating. REVERCHON has a long history. As early as 1685, the "privatization" of the former church vineyard took place. In 1921, it took over the Huguenot banking Reverchon family and built the estate to one of the most renowned companies in the Saar. Three generations later, the estate came through investment backlog, poor vineyard maintenance and quality of wine in the crisis. 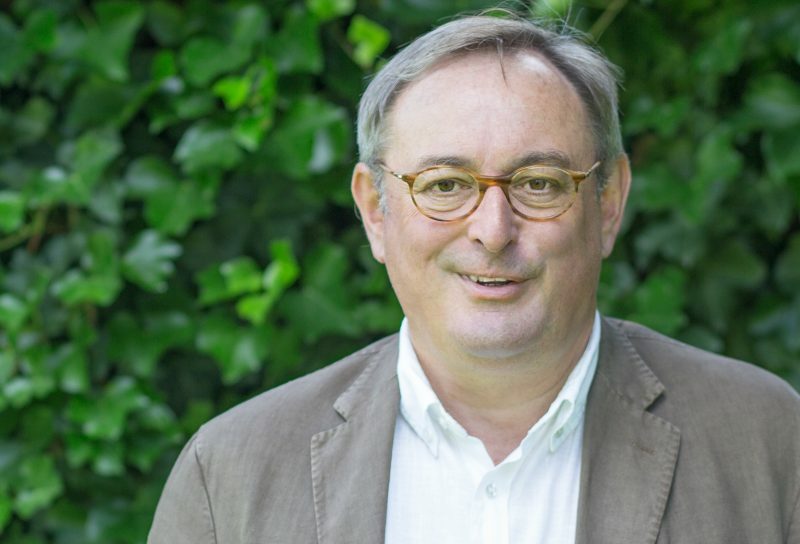 In 2007, the entrepreneur Hans Maret took over the winery. An extensive investment program in the listed buildings, the cellar technology and the vineyards followed, along with the establishment of a passionate, highly competent team. 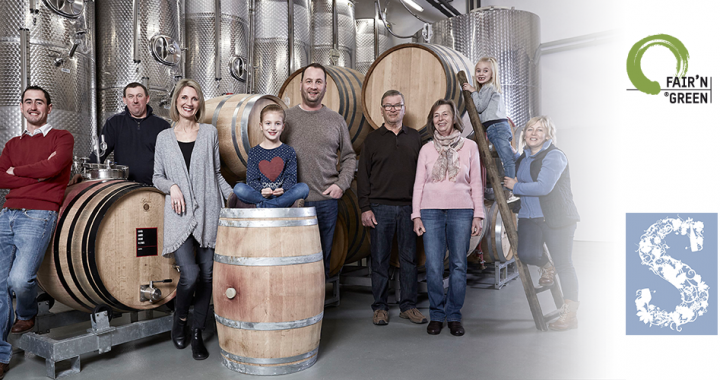 With the sole ownership of the Filzener Herrenberg, vineyards in the Filzener Pulchen, the Ockfener Bockstein as well as areas in Konz and Wiltingen, REVERCHON has the perfect basis for the production of large Saar wines and sects. The south or south-west facing vineyards are predominantly steep slopes with gradients between 35 and 72%, which cause an optimal angle of incidence of the sun's rays and thus provide perfect conditions for the development of high-quality grapes. 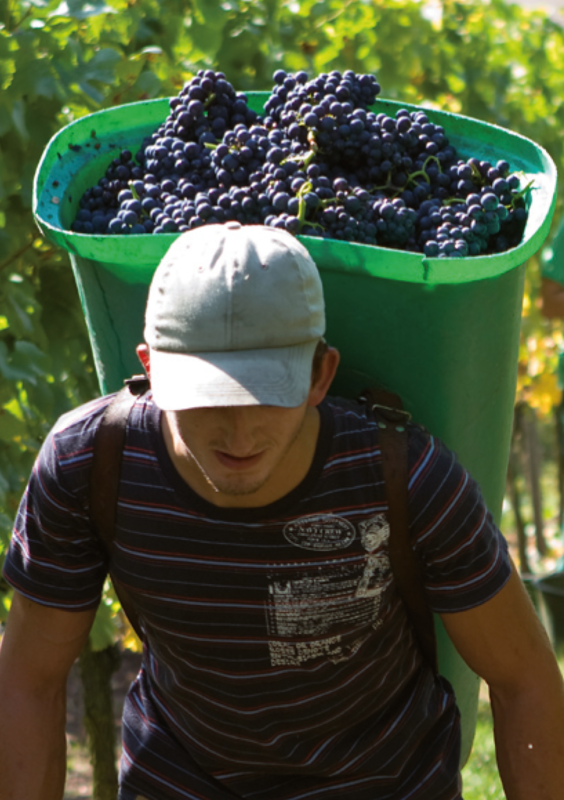 The quality of the grapes is preserved in all processes in the cellar. By natural sedimentation and controlled fermentation with yeasts own yeasts fruit flavors, layer characteristics and freshness of the wines are optimally preserved. The base wines are bottled after a long yeast storage in March. The vineyard wines remain on the yeast for another three months to first present themselves as characteristic individuals on the bottle in mid-June. 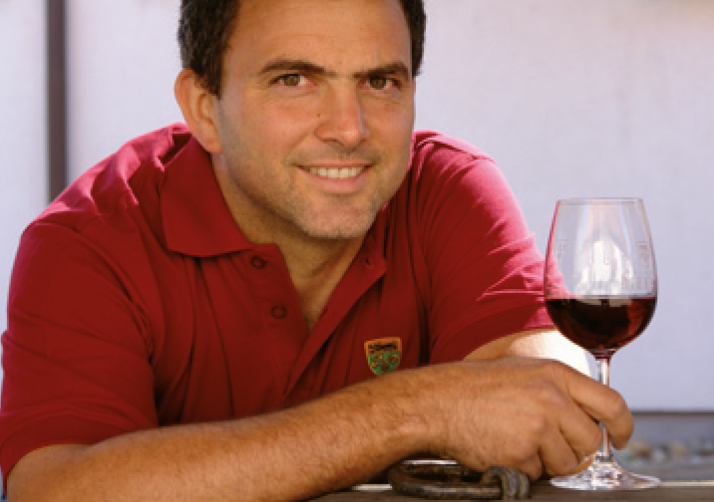 "We put a lot of emphasis on a sustainable and environmentally controlled management of our vineyards, many of which are deliberately done without the use of machinery to care for each individual vine, a late grape picking in several selections and a high proportion of old, partly rooty vines for wines of high density and complexity, always invigorating and light in alcohol with great depth, for pure drinking pleasure without remorse. " By the way: in the attached country house of the winery you can also book a room for a short break. 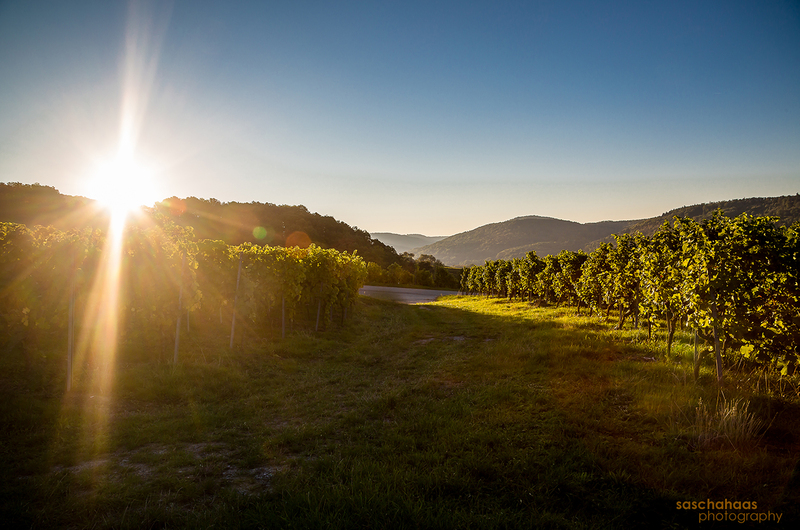 The Meyer-Näkel vineyard in Dernau has already existed for five generations and has traditionally cultivated with passion and an uncompromisingly awareness for quality wines, mainly red. 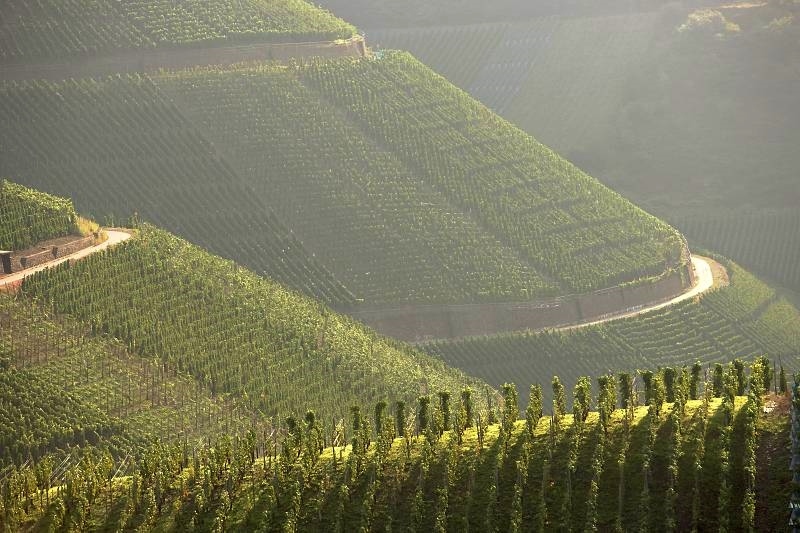 90 percent of the 18 hectares wine growing area are planted with Pinot noir and Frühburgunder that grow on the steep, slate shaped sitings of the Mittelahr. 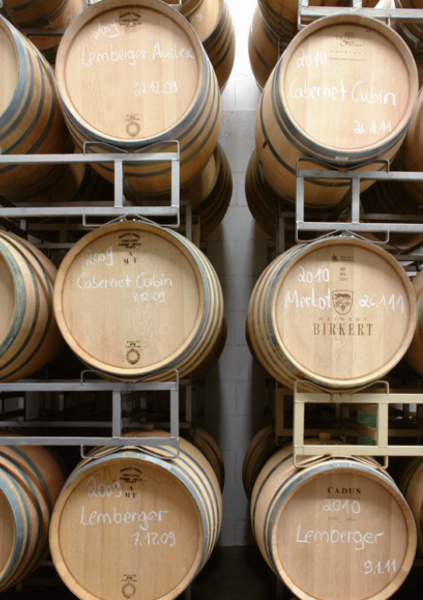 The Meyer-Näkel Burgundy wines are characterised by their minerality and elegance. The easily warmed and rich of skeletal material soils mould the character of the wines: they are mineral, fruity and lasting and have a well balanced tannin structure. The philosophy of family Näkel has always been to preserve the specific terroir of the wines and to bring out its full potential. 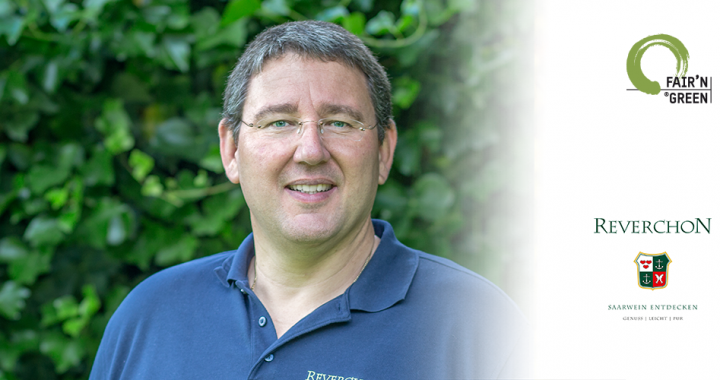 By admitting the wine estate Witwe Dr. Thanisch – Erben Müller Burggraef, FAIR’N GREEN welcomes another renowend winery from the Moselle. 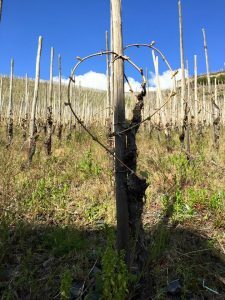 The eponymous vineyard “Bernkasteler Doctor” belongs to the best vineyards in the world and often mentioned in the same breath as Romanée-Conti (DRC) in Burgundy. 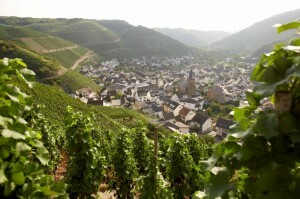 It is definitely among the top vineyards in Germany. 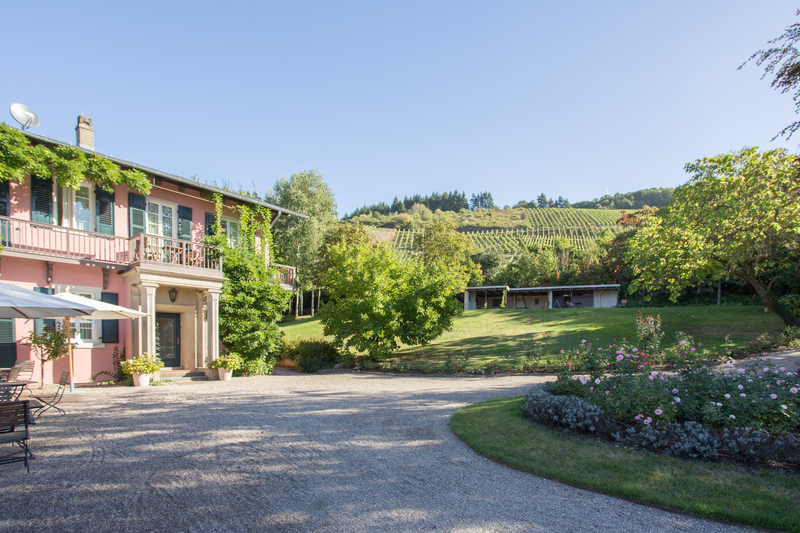 On an area of 14.25 hectares, the winery majorly produces Riesling in steep vineyards. 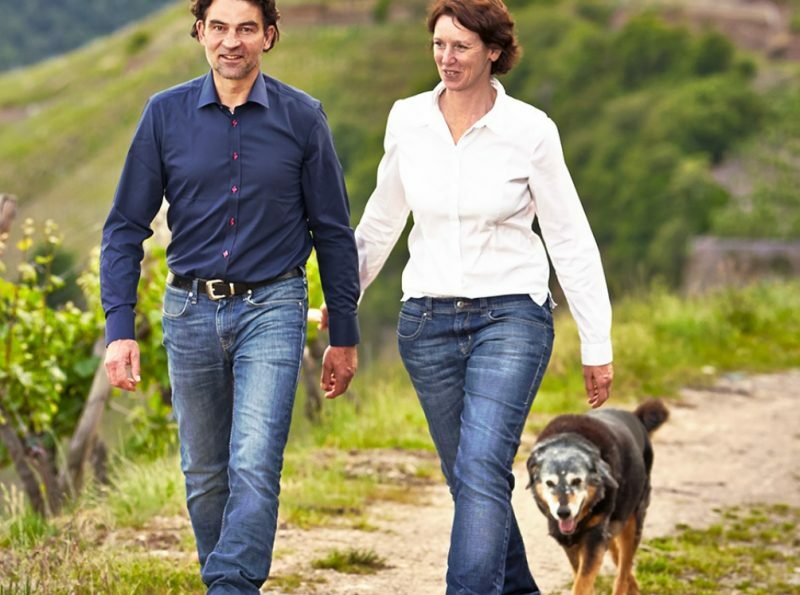 Managing director of the winery is Maximilian Ferger, a sympatic wine maker who first wanted to be a veterinary surgeon but reconsidered and decided to start studying wine making at the university of Geisenheim. 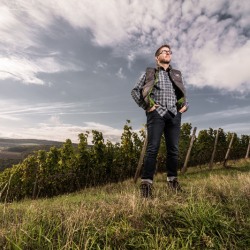 He works at the winery Witwe Dr. Thanisch – Erben Müller Burggraef since 2008 and produces, not only top-notch Riesling, but also Pinot Noir, as he has known them from his apprenticeship in austrias wine region of Burgenland. Lately, the winery built a new cellar, which oversees most of the vineyard and invites the visitor to a magnificent view over the whole Moselle area. Aspects of sustainability were included in the choice of building materials and guarantees high energy efficiency. Furthermore, rainwater reservoirs and compensational areas for boosting biodiversity are included as well. The winery is a member of the FAIR’N GREEN association since 2015 and seeks an additional certification according to EU-Bio Standart, which is generally suported by FAIR’N GREEN. We are more than happy to welcome this renowned winery in our association. Winery Braunewell is a member of FAIR’N GREEN for a shot time. 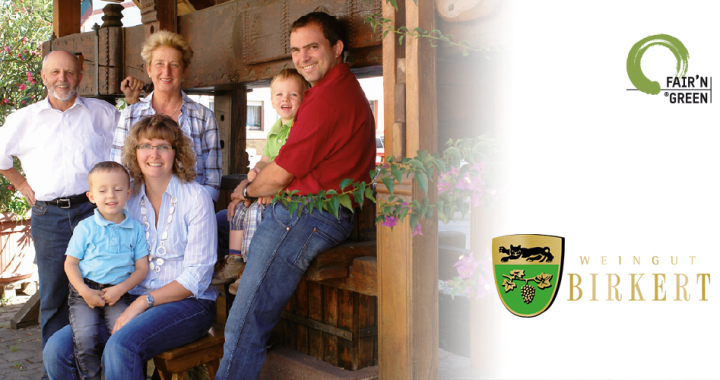 The family-run winery in Rhinehesse is led by the brothers Stefan and Christian Braunewell and is know for their red and white wines, as well as its multifaceted sprakling wine. 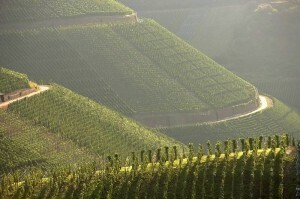 In the current Gault Millau the winery is awarded with 3 out of 5 grapes. In the renowned wine guide Eichelmann it receives 3.5 out of 5 stars. For a few years, sustainability is a well known topic in the winery and has been developed through self emplyes initiatives. In cooperation with the FAIR’N GREEN association the winery is able to further increase its sustainability measures and share its experiences with the associates.